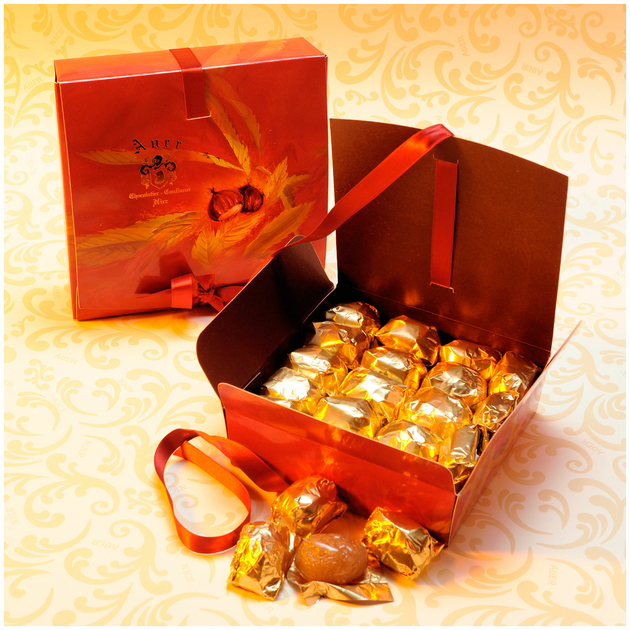 The glazed chestnut is a high-end confectionery, requiring much work and patience. 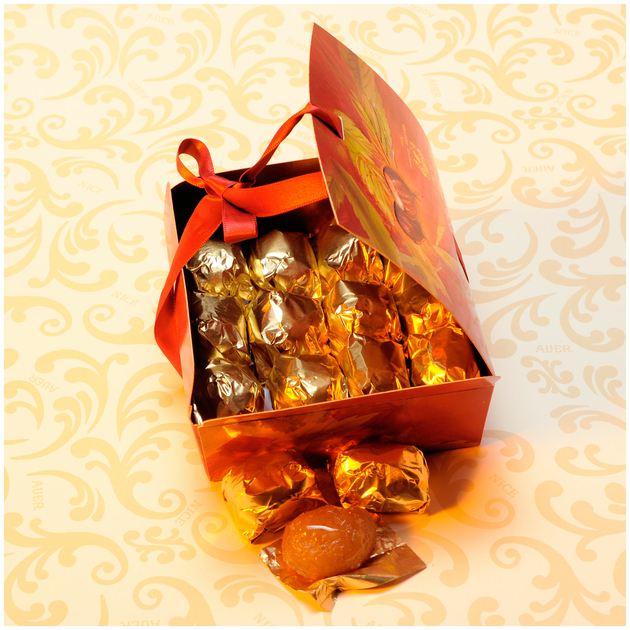 We propose you a chestnut Turin candied and not too little ice to keep it looking wonderful taste of chestnuts. Softness and smoothness of the bite is worth a gold packaging for storage. 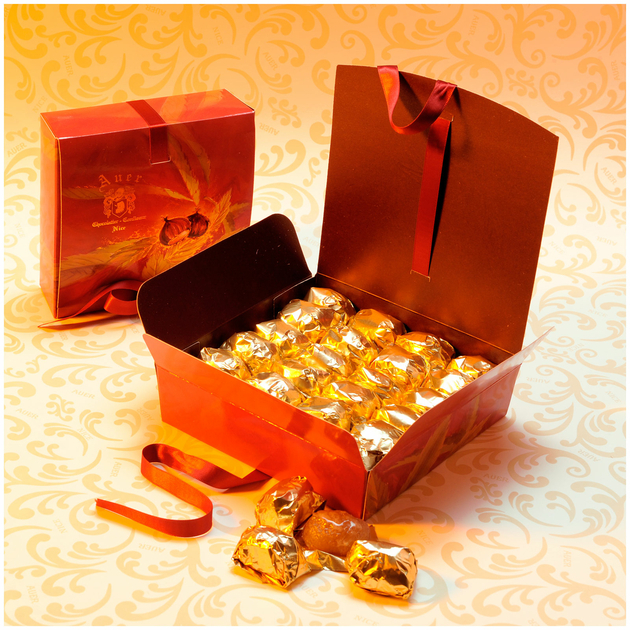 The pleasure of being able to offer the full by presenting them in a closed box with a red ribbon. Warning: This product remains soft for fifteen days, well packed in its gold paper. Beyond, it will lose some of its flavor. Think about it when ordering for delivery times.